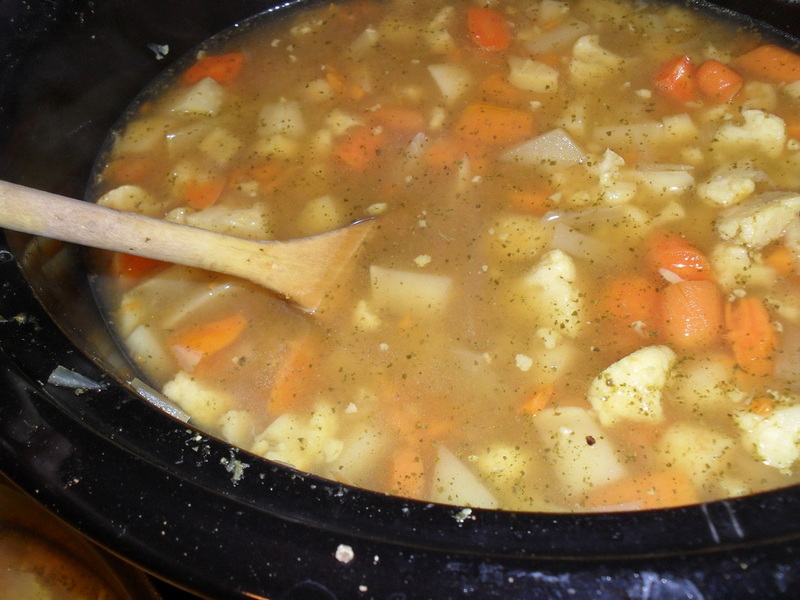 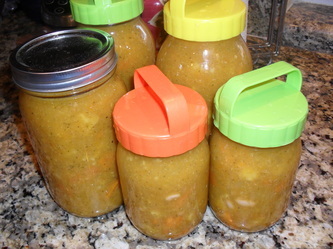 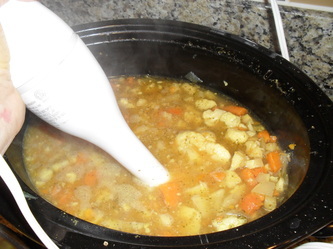 Crock Pot Soup, the easy way to have healthy soup and it cooks while you are at work. ( or working at home which is the hardest job of all! ) 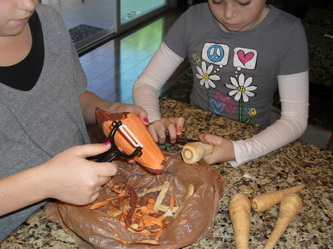 I decided to use earthy root vegetables with ginger and cilantro. 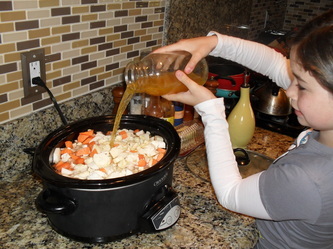 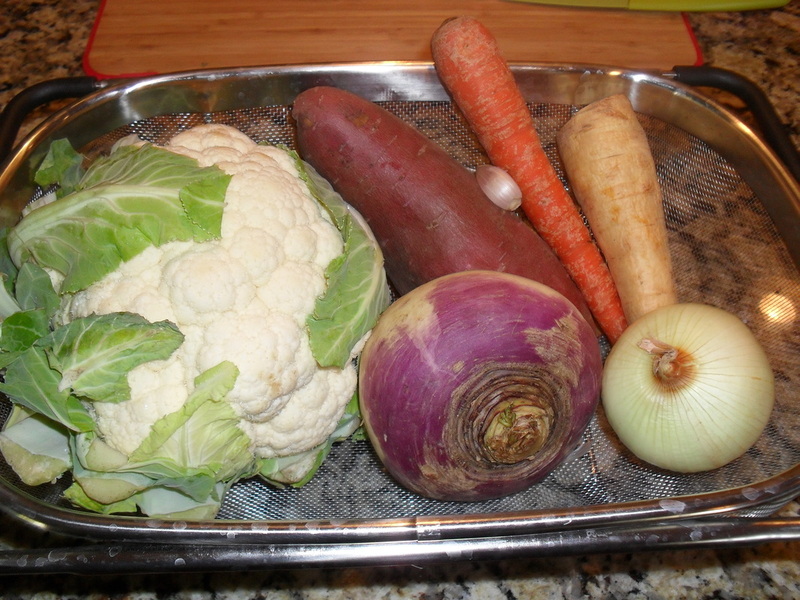 For crock pot cooking all you do is prep/chop and cover with stock or water. 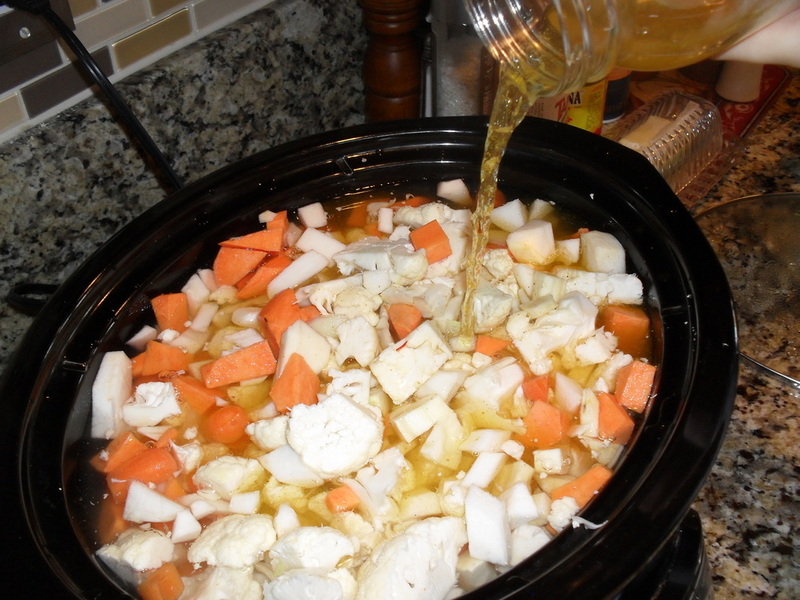 It is easy and healthy, not needing any oil or fat for cooking. 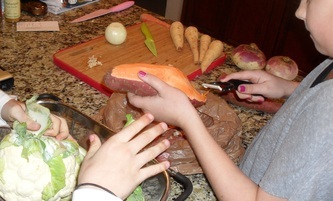 I have cooking helpers today, my daughter Bella and her cousin Nini. The good thing about your children helping in the kitchen is that they will be excited to try something new when they are the "chef"
Set Crock Pot on high, put copped garlic and onion and let cook covered while you chop remaining ingredients. 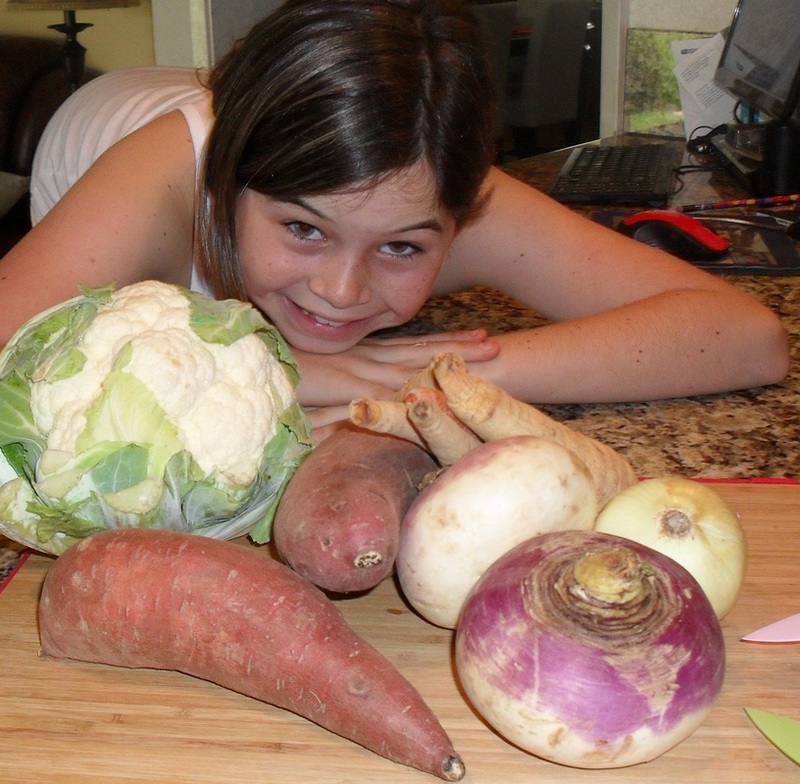 Peel and chop sweet potato, parsnip, carrots and turnips. 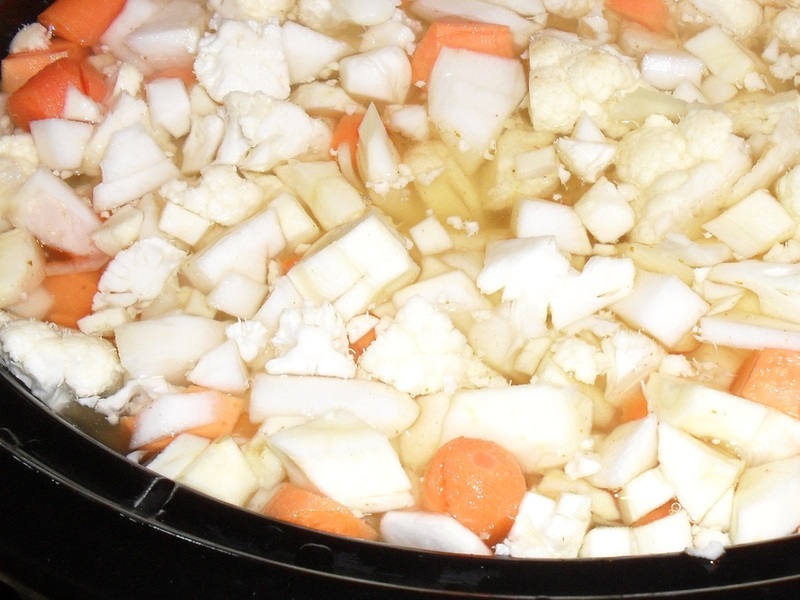 Clean and chop cauliflower, add all to crock pot with onion and garlic. 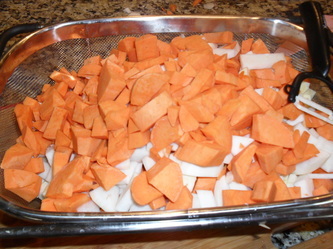 Cover with water and spices. Cook for 6 hours on high or 9 hours on low. 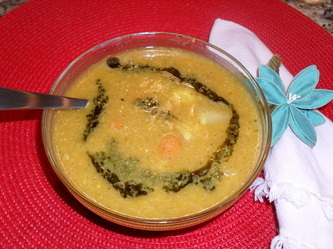 Puree half of soup leaving one half of soup chunky and it is ready to serve. Garnish with chopped cilantro or any of your favorite greens.